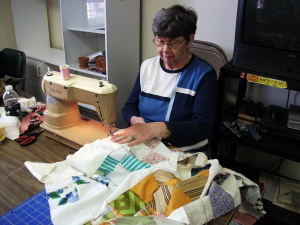 The quilters meet on Wednesday mornings at 9:30 a.m. in the Fellowship Hall. 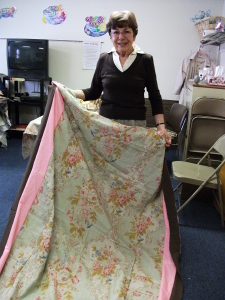 We invite you to come for some fun and fellowship, sewing, cutting, organizing—many ways to help and try something new. All are welcome. 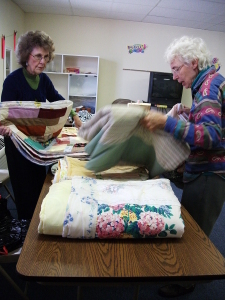 Quilts connect people to God’s call to love and care for one another. 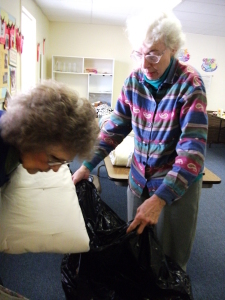 Tied in faith, sent in hope and wrapped in love.